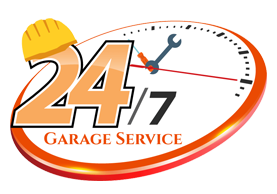 When it comes to garage door repair & installation services we are the best. Past customer testimonials and reviews speak for themselves. We put our sweat and heart into every job. From the first diagnostic meeting until payment is complete we make sure out customers are comfortable in every way with the work that is being done. Never settle for less is our motto. The handymen we send out are all insured and provide a two year warranty on all service work done. We provide free estimates for all installation services. Being a supporter of many organizations we also support our veterans, policemen, and retired customers. Just ask for our coupons! There is never a job too hard or complicated for handyman garage doors. We can do framing, installation, repairs and commercial work on any and every type of garage door. When you need a specialist for something, you go to them. When you need a specialist for a garage door you come to us, its simple. Many service businesses leverage the fact people need the service done or else their day to day operation gets disturbed. Handyman garage doors prides itself on integrity. When it comes to price, the job and the type of service we are #1. We believe all business should be honest and true. No job is to hard for handyman garage doors when it comes to garage doors. We do everything from A-Z and with utmost workmanship. Our technicians are all licensed and trained to tackle any obstacle. We treat your garage door as if it is our own. All jobs are done with the highest quality of work. If there is one thing we really are the greatest at it is service. Not a call, email, fax or even a text goes unanswered. We take every request serious and provide step by step guidance and consultation on every garage door repair or installation. Google gave us their service of the year reward for 2016 for garage door technicians on the east coast. If there is one thing we really are the greatest at it is service. No call, Email, Fax or even a text goes unanswered. We take every request serious and provide step by step guidance and consultation on every garage door repair or installation. Google gave us their service of the year reward for 2016 for garage door technicians on the east coast.